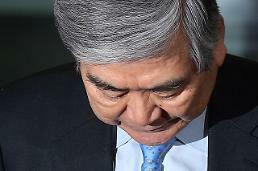 Police launched a raid into the head office of Korean Air to seize evidence in a probe targeting its chairman who is suspected of misappropriating company funds to renovate his residence. In the raid, police seized accounting books, contract documents and other data related to the construction of a hotel near an international airport west of Seoul and the Seoul home of Hanjin Group patriarch Cho Yang-ho. "This morning, there was a search through our materials division," a Korean Air official said. Cho, who also serves as Korean Air chairman, is suspected of siphoning off company funds for the hotel construction into renovating his home between May 2013 and August 2014. Cho has girded himself against a possible investigation. 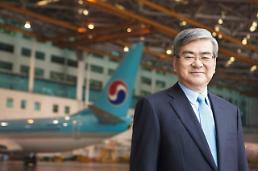 Last month, his 41-year-old son, Cho won-tae, gave up executive posts at Korean Air and other affiliates. South Korea's family-run conglomerates, known as chaebol, have been on guard since Kim Sang-jo, designated by President Moon Jae-in as an advance guard for reforming chaebol, took office as chairman of the Fair Trade Commission, a powerful state anti-trust watchdog. Moon and Kim have vowed to stop chaebol's unfair business activities. 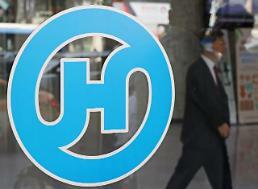 Last November, the commission ruled that Korean Air and two affiliates -- Uniconverse and CyberSky -- were involved in inter-subsidiary transactions to provide illegal gains to the group's ruling family. Like other tycoons, the Cho family has controlled the group through a complex web of cross-shareholdings. Hanjin Shipping, which used to be South Korea's largest container carrier, was liquidated in February after its court receivership last year triggered chaos in its global cargo traffic.